We could not have asked for a more perfect Spring day for Round 4 of Nugget Nationals. With the gates opening at 7:30am it was great to see a lot of competitors there bright and early to prepare for a day full of PB’s. No PB was more impressive than the man that took first place on the day. Iain obliterated his previous laptime of 1:48.1 with a stonking new PB. 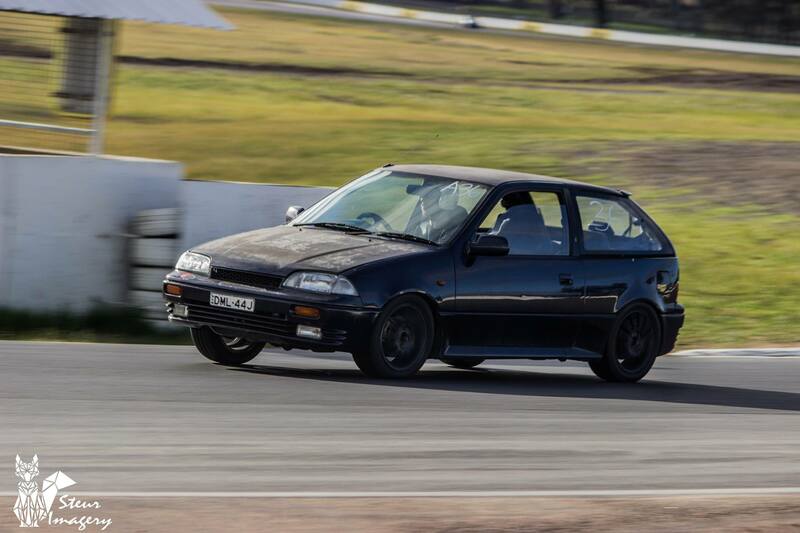 Iain’s entry at every Nugget Nationals event proves that seat time pays off and it’s great to have seen him progress throughout the years. A truly well deserved PB! It’s been a while since we’ve seen Ying’s Echo out and track and she’s a little far off the pace of her previous PB of 1:46.0 however, her lap time on the day was enough to grab a second place finish. 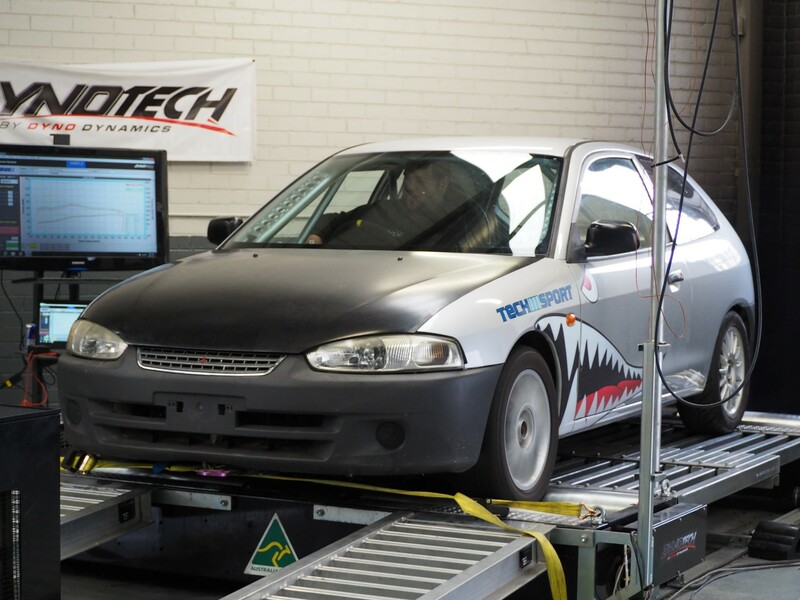 As one of the front runners of the championship, Mitch was also able to secure a third place finish and a new PB in the Mitsubishi Shitage. 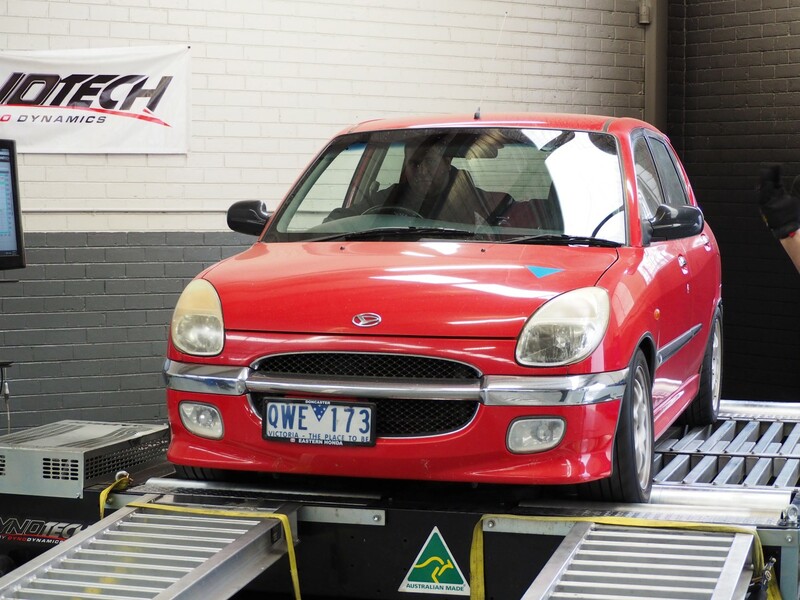 The double driven Mitsu proved to be a PB Machine on the day with Josh cracking into the 40’s club for the first time! Another competitor who has been recently absent from the track is Hayden. He’s returned in fine form with a smashing new PB. Another Nugget into the 40’s! 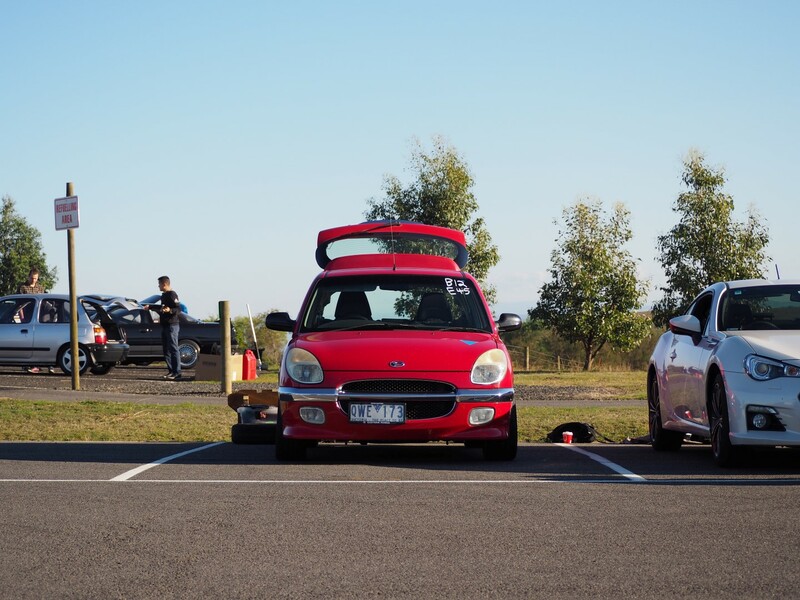 We first met Michael at Haunted Hills earlier this year, where he’d picked up a $500 Barina. As with most competitors, once you have a taste of Nuggets, there’s really no going back. 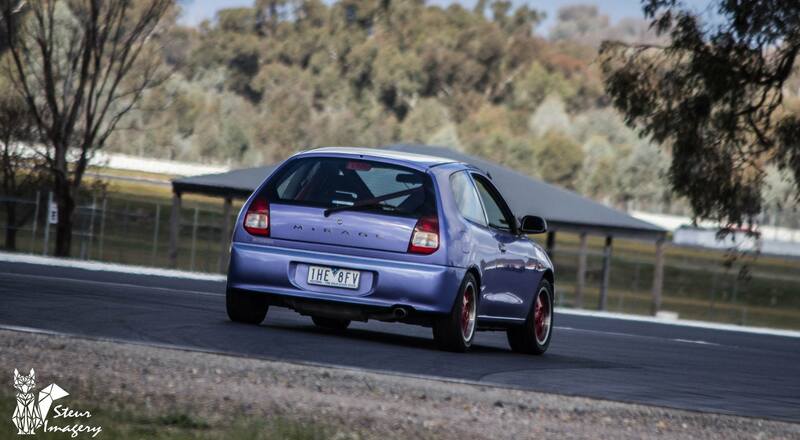 For Mike, it meant purchasing an old competitor car which conveniently happened to be a Barina too. 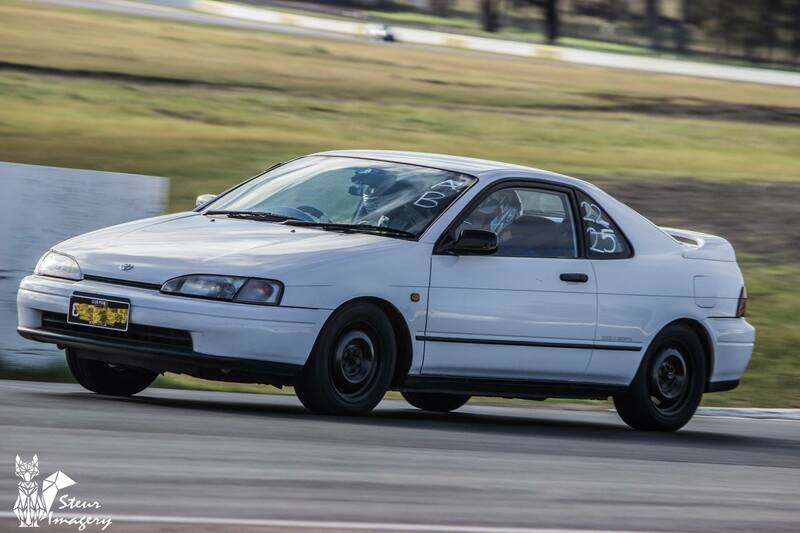 This is Mike’s first time at a Winton and if his time is anything to go by, he’ll be a strong contender in the future! If there was an award for the coolest looking car on the day, it would surely go to Glenn. His little retro inspired EP91 was a magnificent sight to behold (and this sentiment is not at all biased by the person currently writing this blog post). Previous co-owner of the Neverlift Nugget, couldn’t stay out of the game for too long. After only being back in Australia for a day, Seb was out in Neverlift #2. He’s set himself a fantastic lap time for him to benchmark himself against when the future modifications and track days come around. With an unfortunately early retirement due to mechanical issues, Mark still managed to smash his previous PB by 2 seconds. We’d say that’s worth cooking a motor for! And the PB train kept rolling through with a new PB in the sport mini Supra for Matt! 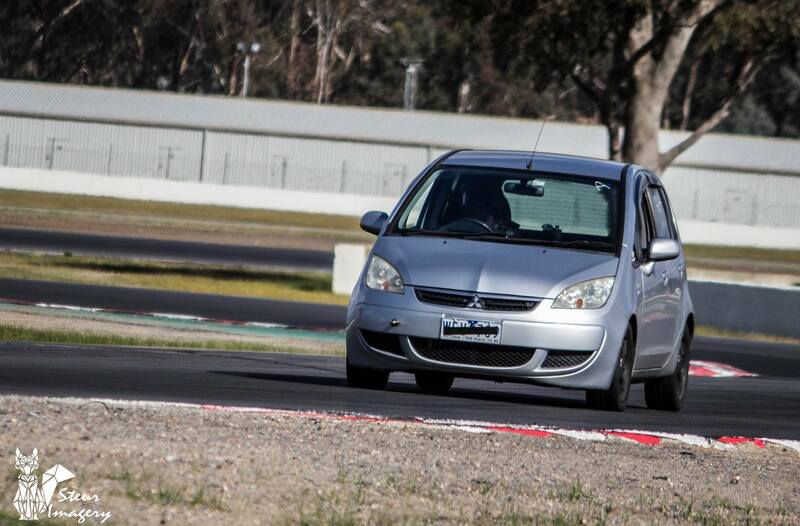 With ten years in between track days at Winton, Trevor blew off the cobwebs with a very respectable 1:54 in the K11. The double driven Paseo got a work out and bestowed PB’s upon all that got behind the wheel. A new fastest lap time for Anthony to add to the family album. 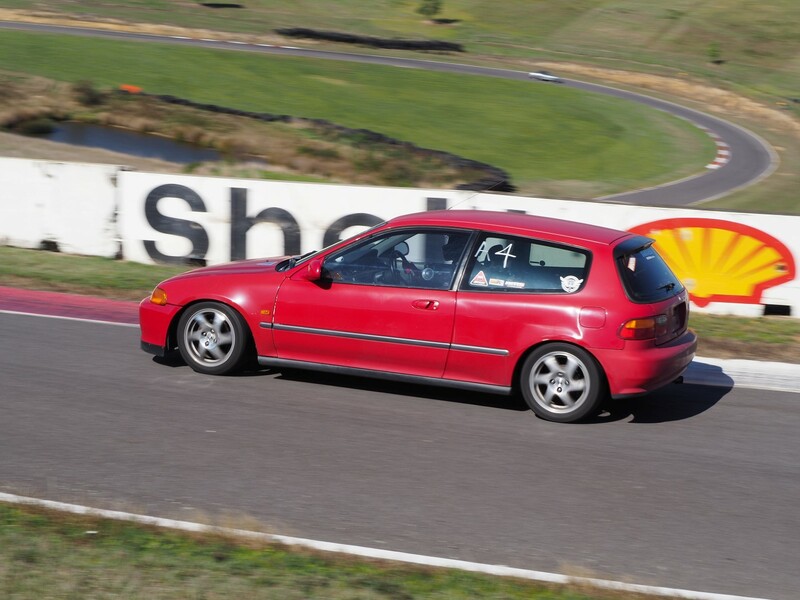 Dancing the big block Echo through the S bend in spectacular fashion, Kyle is throughly enjoying his upgrade from his previous small block 1.3 litre Echo and took a good 6 seconds off his previous lap time. Our final co-driven car of the day was Glenn’s dad Mick. 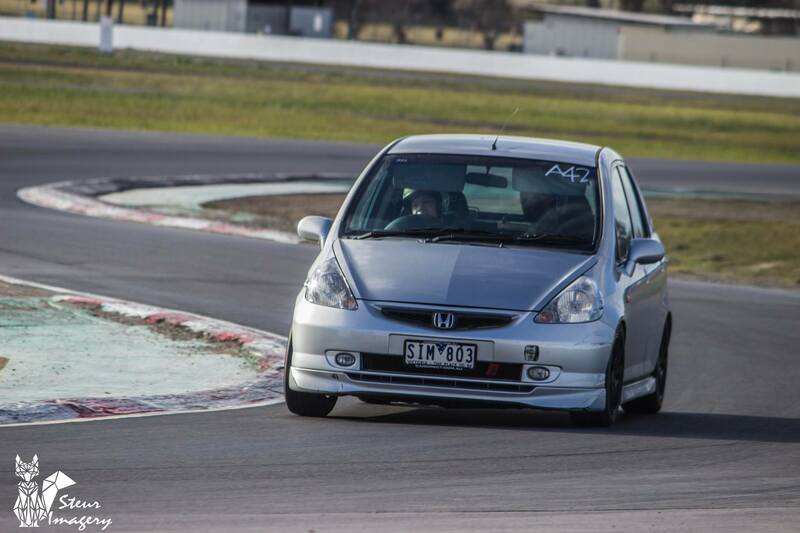 We cannot stress how utterly cool it is to bring your parents to a track day and get them behind the wheel. Well done Mick! We have final points round before we close up the season for 2018. Stay tuned to Facebook for more details! Round 3 of Nugget Nationals again saw our fleet of under powered vehicles congregate at Weltmeister Eastside. To assist the power challenged Nuggets in the track rounds, we’ve awarded points a little differently and in reverse order. This means that the Nuggets with the lowest kilowatts have been awarded the highest points for Round 3! A full photo album of all the cars in attendance can be found over at the Nugget Nationals Facebook page. The Nuggets descended on Bryant Park for Round 2 on an unusually nice Winter day in Melbourne. 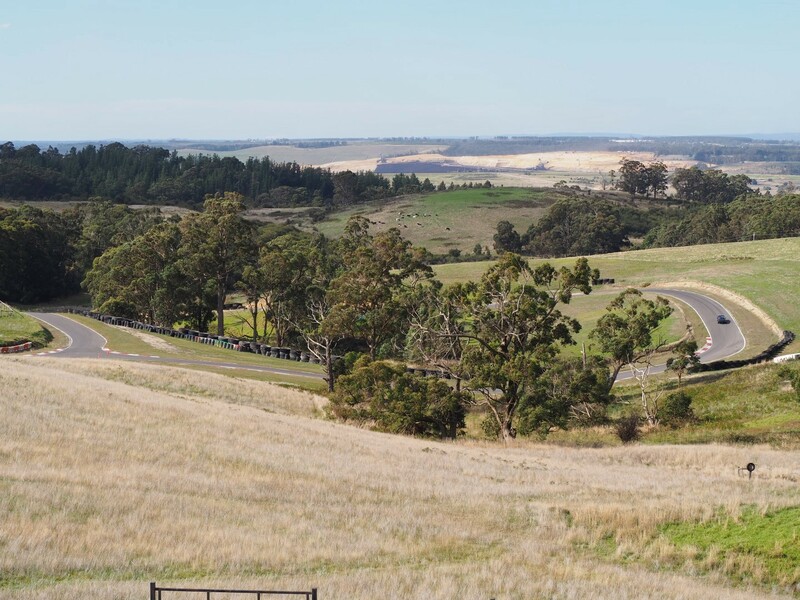 It’s our second time running an event at this Hill Climb also known as “Haunted Hills” and it’s always an exciting event with very little margin for error. This year we decided to change the format up and opted for the longest configuration of the track with a double loop at the bottom of the hill. Iain only just missed out on first place by .01! An amusing compilation of how tricky this track can be can be found on Iain’s youtube channel. 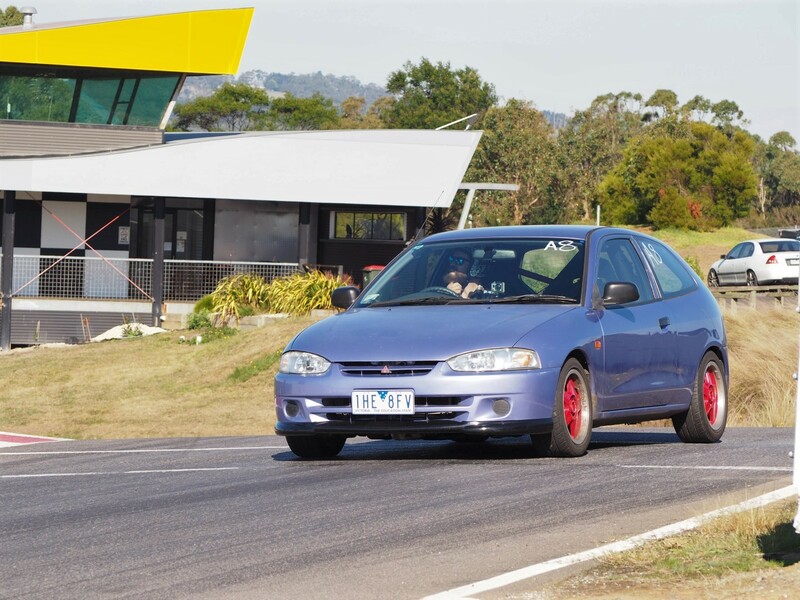 Fresh from Rally X @ Winton, Zac still had his eye and in managed to take 3rd place. Will this be year of the Mirage? 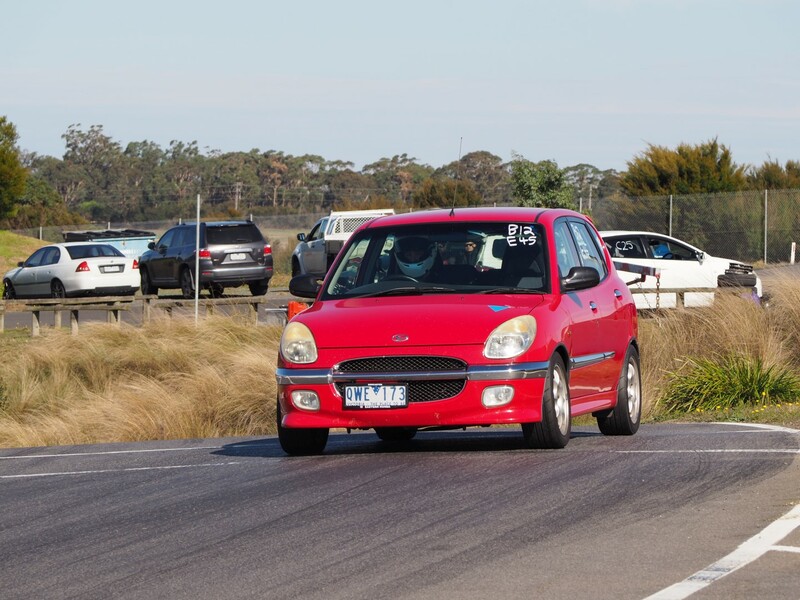 Half a second behind Zac was Liam in the co-driver Techsport Mirage. Having a kid hasn’t slowed Willer down. 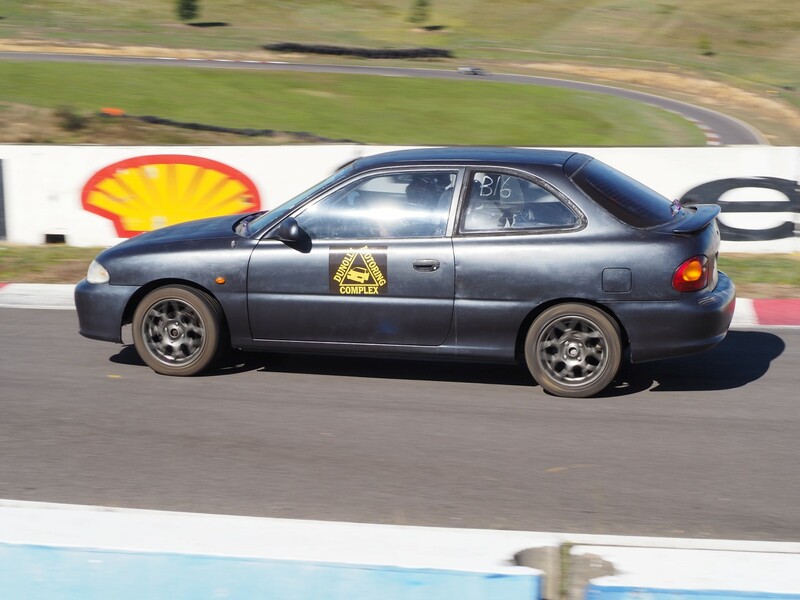 Due to a gearbox failure, Simon was an early exit out of Round 1, but with repairs completed managed to post a great time at Haunted Hills. A new year and a new Excel for Shanon. 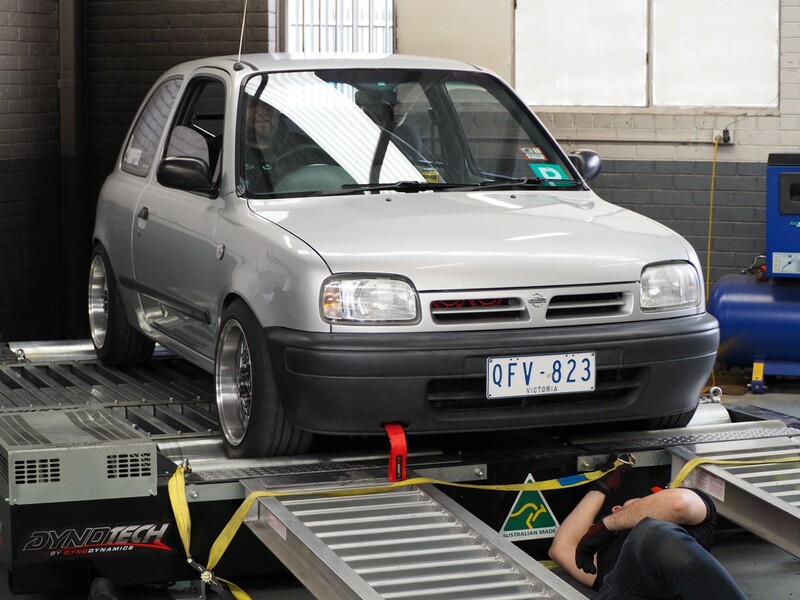 Another Silver Micra and new entry to the series. Welcome Trevor! 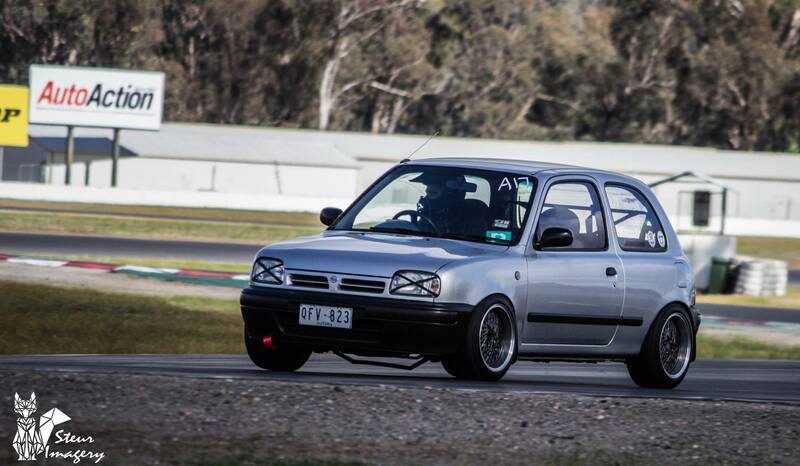 Michael heard about our series and promptly purchased a $300 Barina to compete. 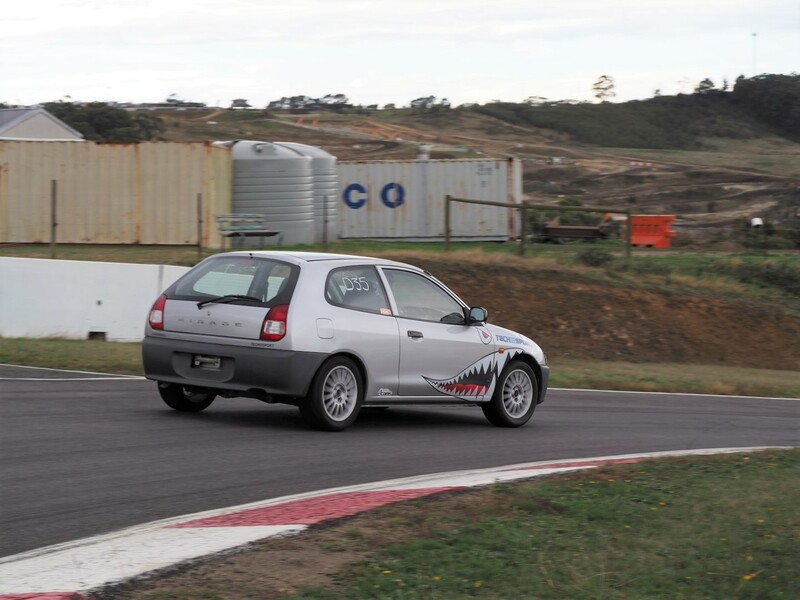 It’s been a while since we’ve had a Barina in the series. Welcome Michael! 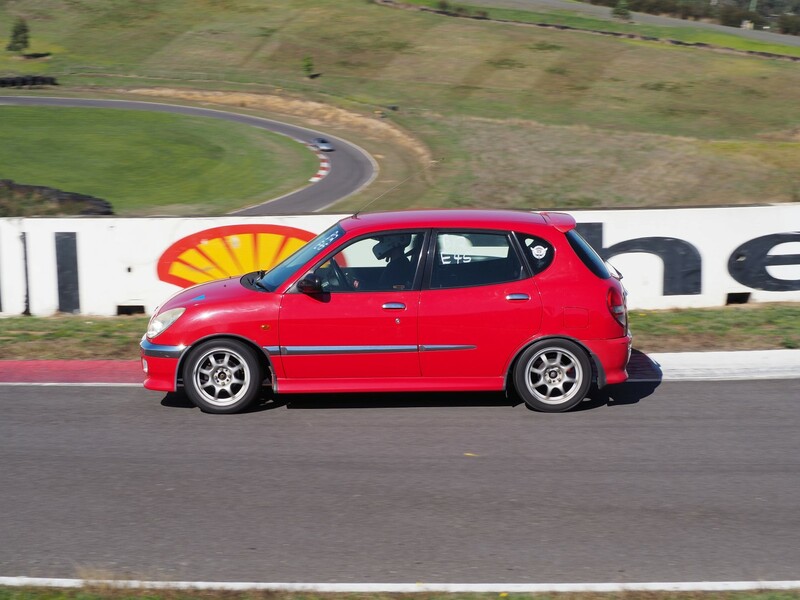 Kyle entered Round 1 in a 1.3 litre base model Toyota Echo but soon realised that the 1.5 litre big block was Sportivo was the car of choice and promptly purchased one. Unfortunately a very enthusiastic burn out meant that Stuart had to retire early from the day. A big shout out to Ash and Ruan for helping Stuart get his Nugget back to Melbourne! The most commitment award goes to the Sky Blue Jazz! Stay tuned to our Facebook Page for the next event! Welcome to a new year of Nugget Nationals! There’s been a major shake up of the driving field this year with a lot of the familiar long term front runners taking a break from Nuggets to fix and drive their other broken track cars. This leaves the field wide open for an exciting new line up and we’ve been very happy to see so many new drivers and vehicles join our series this year! With a rainy start to Round 1, all drivers were happy to see the track dry up for the second half of the day at Winton Raceway. Having said this, first place honors went to return competitor Iain. 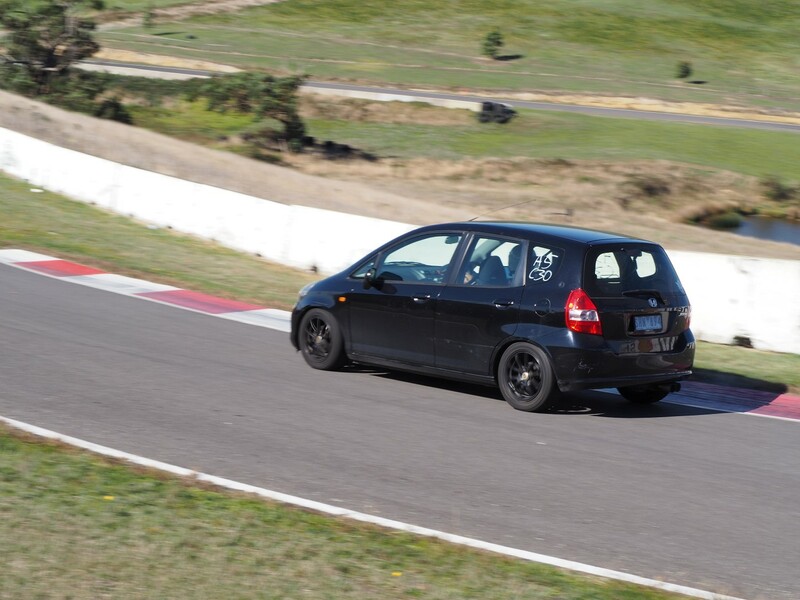 Iain’s persistence and resolve to “Never Lift” has seen major improvement from his first track day ever with us. His lap times have dropped every outing and is testimonty to the fact that driver mods and seat time will always be the best way to improve your lap times. 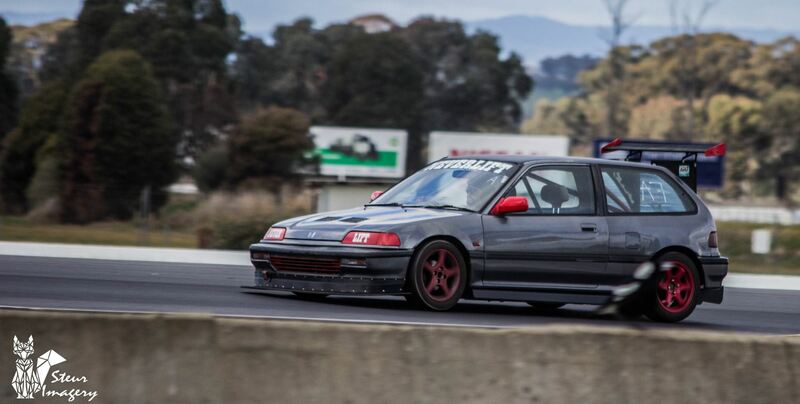 New entry Mitch Gilmour can usually be found at Phillip Island in an Evo but he’s entered Nugget Nationals with a M-evo! 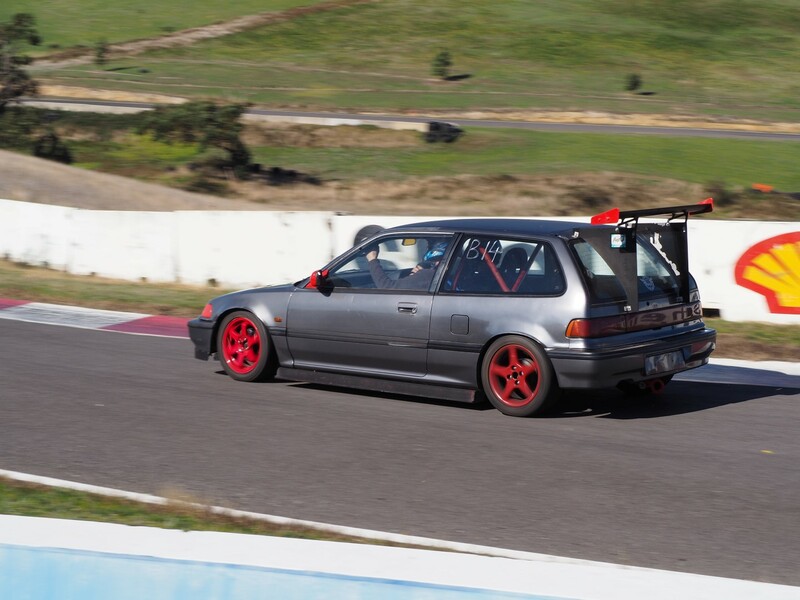 This “Mini Evo” or Mitsubishi “Shitage” will be co driven this year. Mitch will definitely be one to look out for as the season in future rounds. 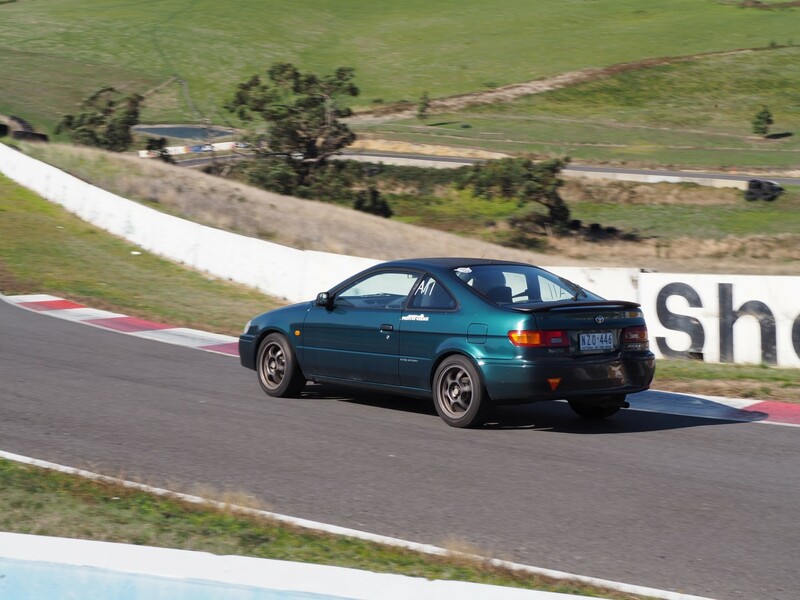 Josh is usually found driving a Subaru around the track but has gone over to the other side to see if the grass is greener on planet Mitsubishi. It’s enough to net him 3rd place on his first drive of the co-shared Nugget! 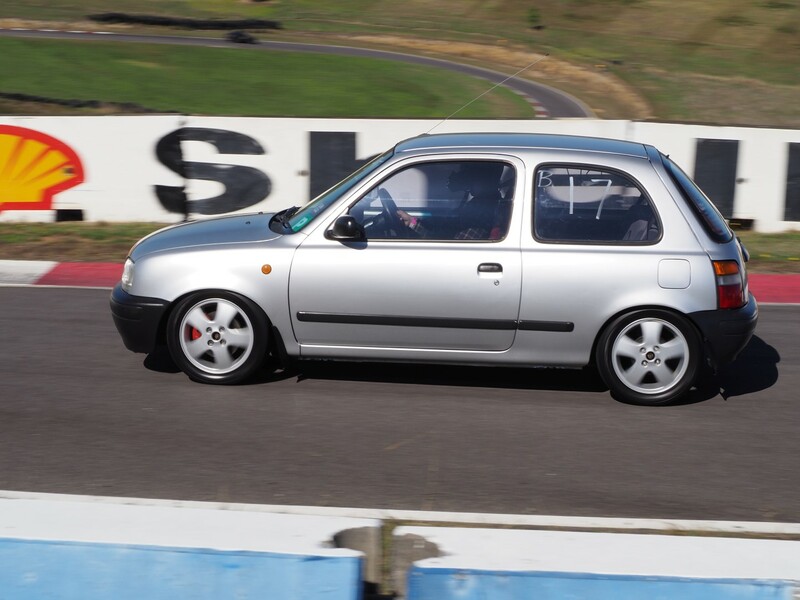 Trekking all the day down from NSW, John sets a fantastic lap time on his first drive of the track in his K11 Micra. Keen observers will note that this car is now on it’s 3rd owner and Nugget competitor. It’s great to see this workhorse showing up round after round even if it’s under different ownership! A familiar face to EXE track days in a roulette wheel of different cars, Mr Chuc is trying his hand at Nugget life and enjoying the stock suspensions ability to eat up the ripple strips with very little consequence. Practice pays off, Alex managed to take a full second off his previous PB! A new slightly less smokey excel for Shannon this year. 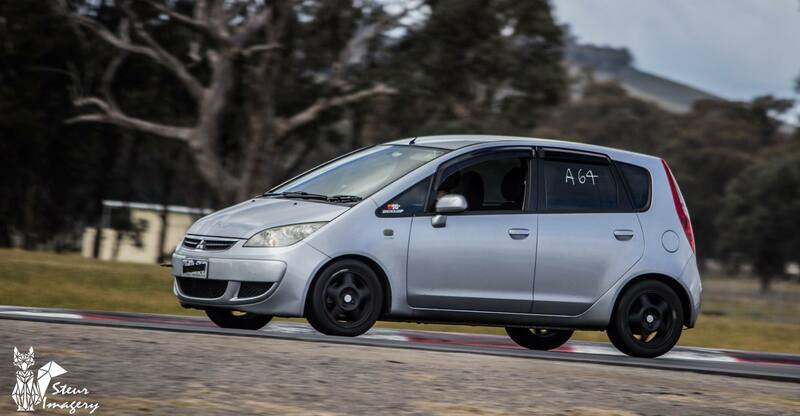 Usually in a rear wheel drive Nissan, McGillaz knowns the the front wheel drive ones are just as fun. 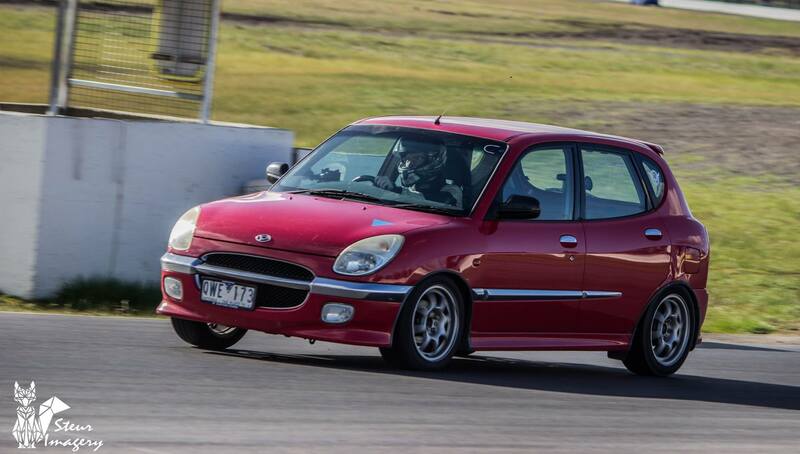 In a super confusing move, Vinnie and his twin brother now BOTH drive Suzuki Swifts at Nugget Nationals. 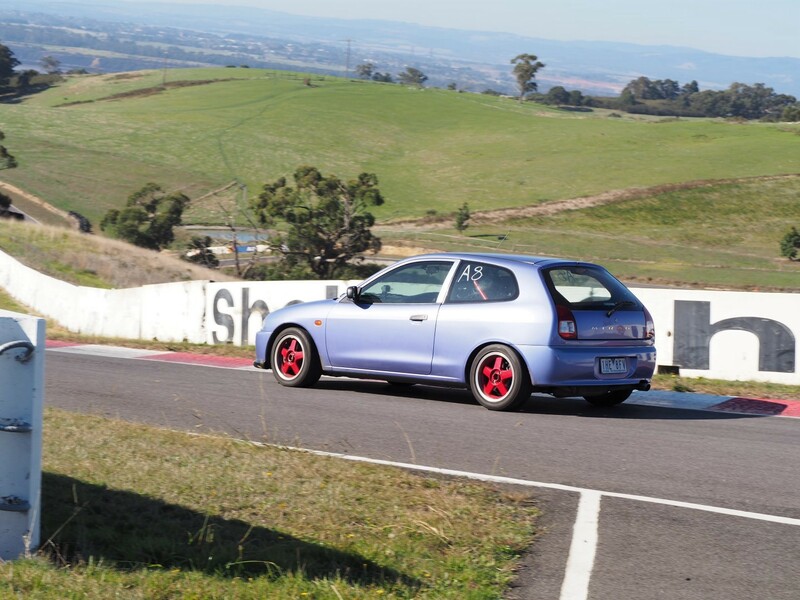 Kyle’s first time at circuit driving is slightly different than the 300kw Commodore’s he’s used to! 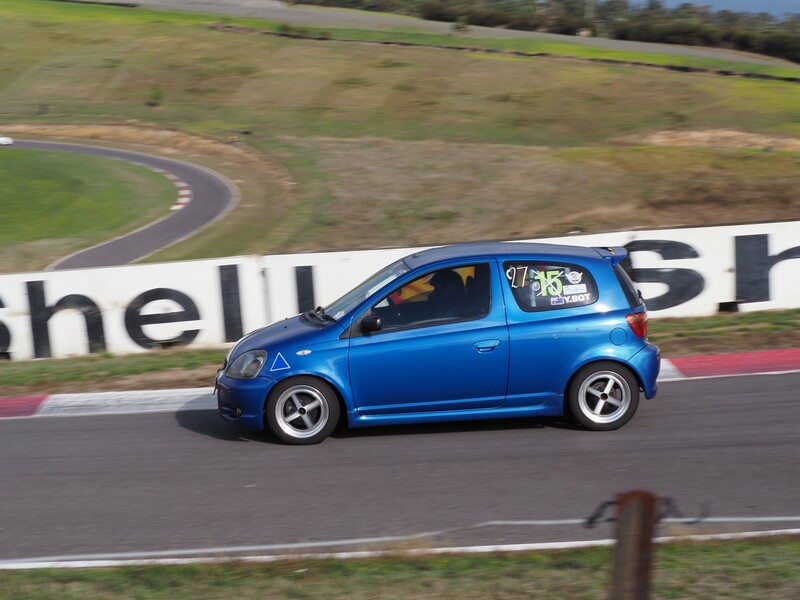 He still had an absolute blast in the “Small Block” 1.3 litre echo. 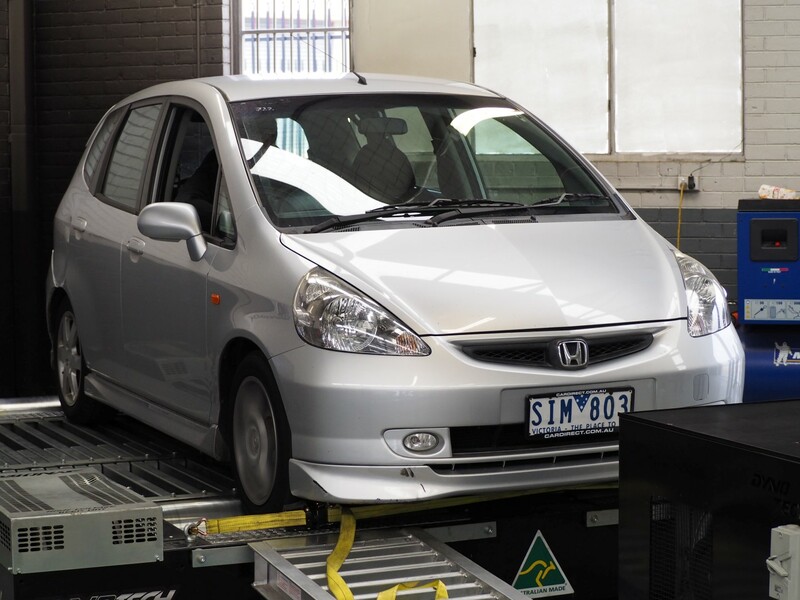 Another new entry and another co-joined Honda Jazz. Welcome to the series Darren! Splitting the cost of a Nugget is an even more cost effective way to have a friendly competition among friends. Welcome to the series Jaron! 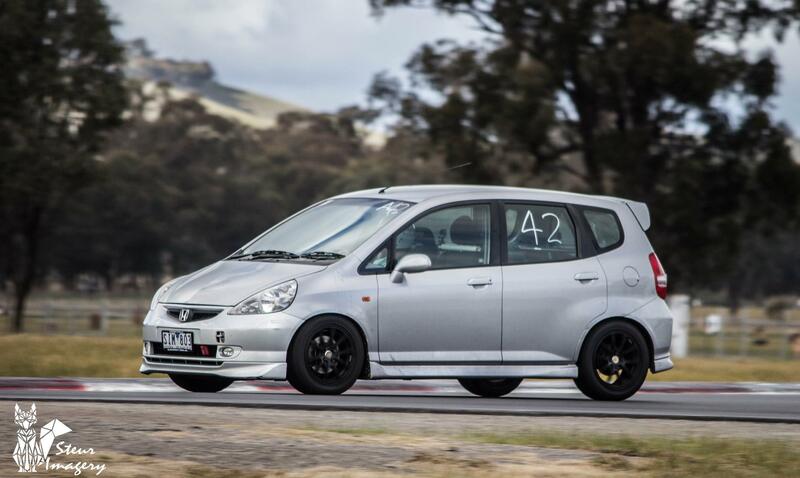 Our second event at Winton this year had us a bit nervous with the forecast for rain, but instead of rain, PB’s fell from the sky. Persistence is paying off, with many of our return competitors dropping a second or more off their previous PB’s. All photos are courtesty of Steur Imagery. A big shout out to Mel for documenting our day and full albums of all the cars in attendance can be found here and here. 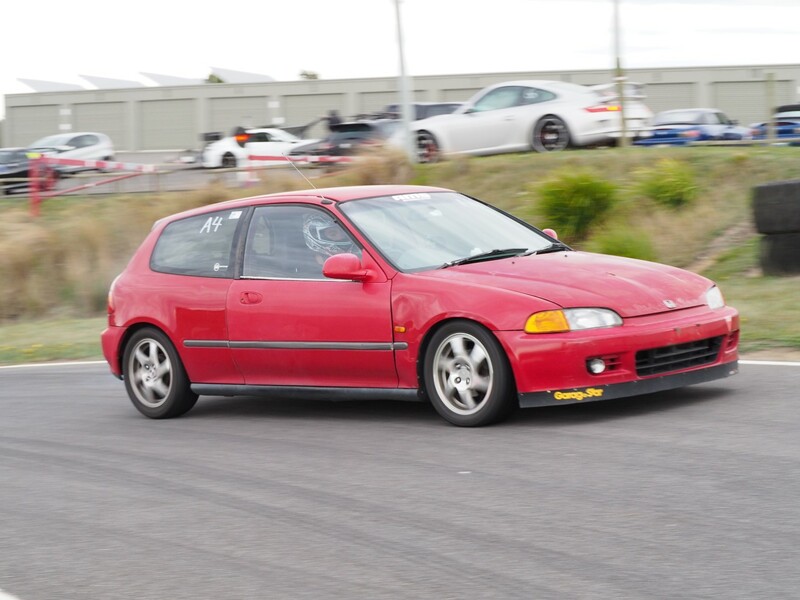 In a very clear first place was the Honed Civic beating it’s own previous PB of 1:46.6 set in Round 1, with a ridiculous lap time of 1:43.0. He assures us there’s a 1:42 in this car. The next Nugget to crack the 1:46 barrier was Viv. 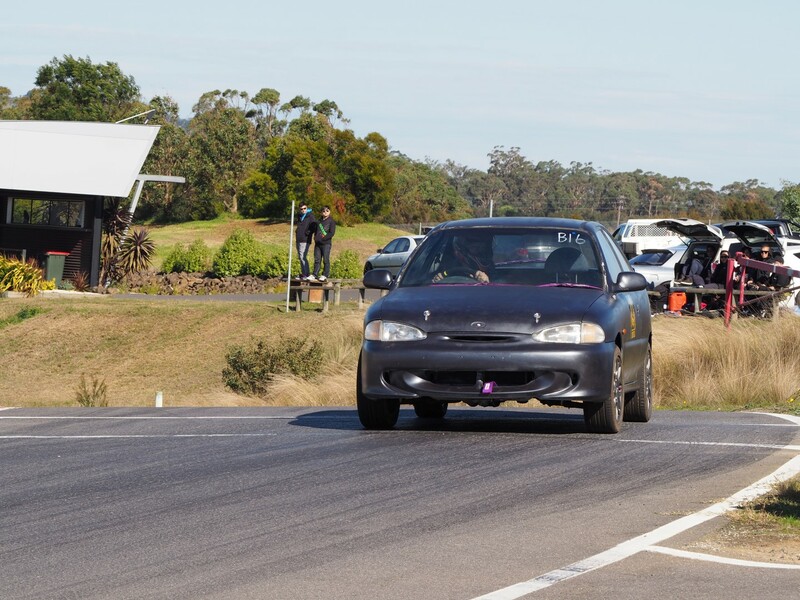 With his usual co-driver Adam overseas, he was able to drive a slightly less thrashed Nugget around into the 45’s and, due to consistency and lap times in the previous events, is the current Nugget Nationals leader. 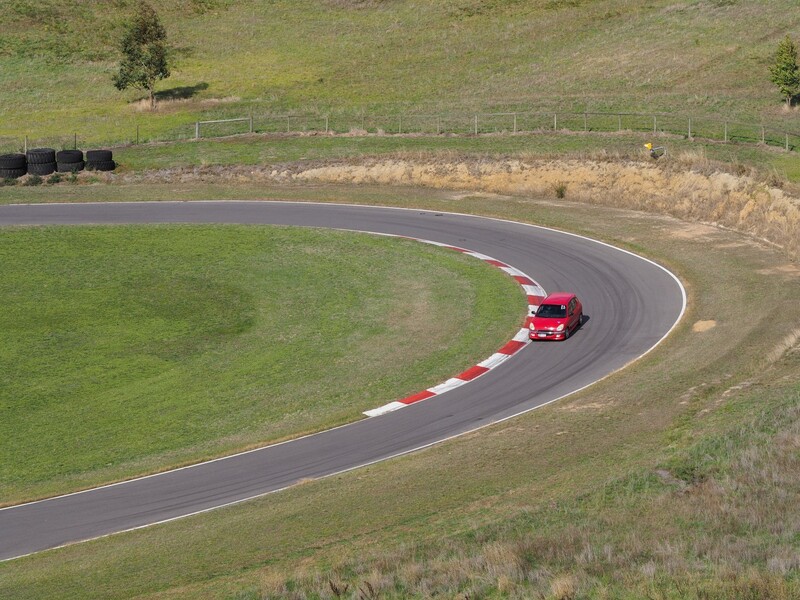 Anyone who has sat, driven or been near this car can tell you what an amazing feat this lap time is! A new PB for Daniel shaving .2 off his previous lap time. He’s getting much closer to the 45’s club too! 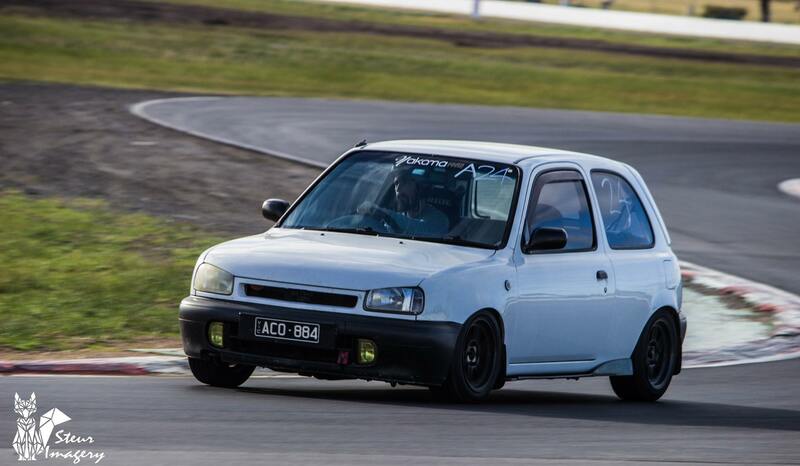 Fresh from competing in the Winton Rally Cross event a week earlier, Zac proves he’s no slouch on or off the tarmac with a new PB of 1:47. 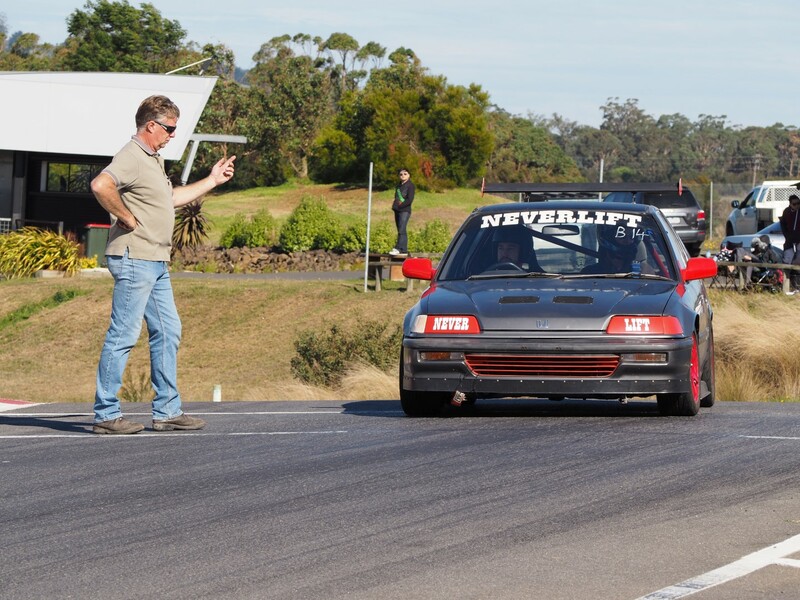 The Neverlift Nugget has been with us since the start and we’re stoked to see this car continue to PB in the hands of Iain. As the second driver of the Silver Bullet, Liam also secured himself a new PB on the day. We weren’t kidding when we said it was raining PB’s. With a new set of tyres, Tommy managed to secure himself a 1:51. On loan from the collection of Breitkruez, Eddie tries his hand at a Mitsubishi that isn’t an Evo. 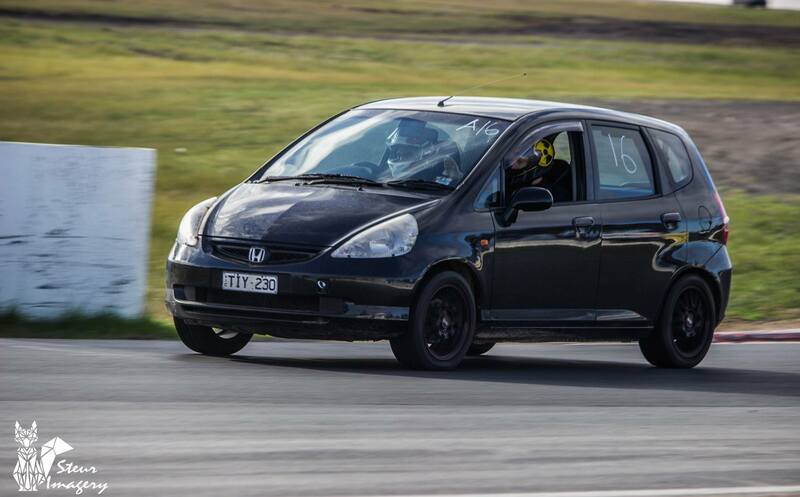 Yet another PB for Nugget Nationals only Suzuki competitor! 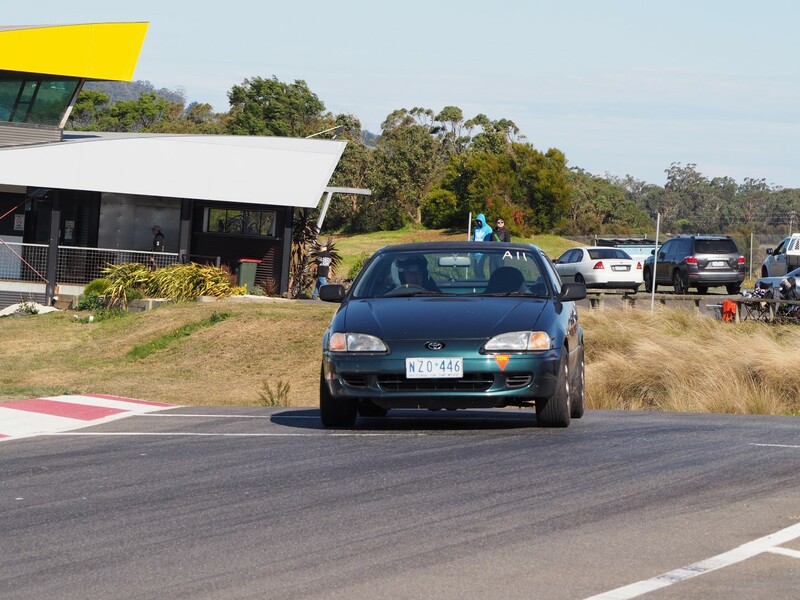 We first met Mark at our Round 2 event at Haunted Hills, and he’s completed his maiden voyage of Winton with us at Round 4. A great lap time of 1:54 for his first time at this track! A familiar face, and a slightly familiar car. Stuart is back competing in Nugget Nationals with his 2nd Mirage. Second time proved to be a charm as his lilac Mirage beat his old white one by a full second! Now he owns 2 of them, I think we can officially call Thomas a “Honda Enthusiast!” #2SNJNR. 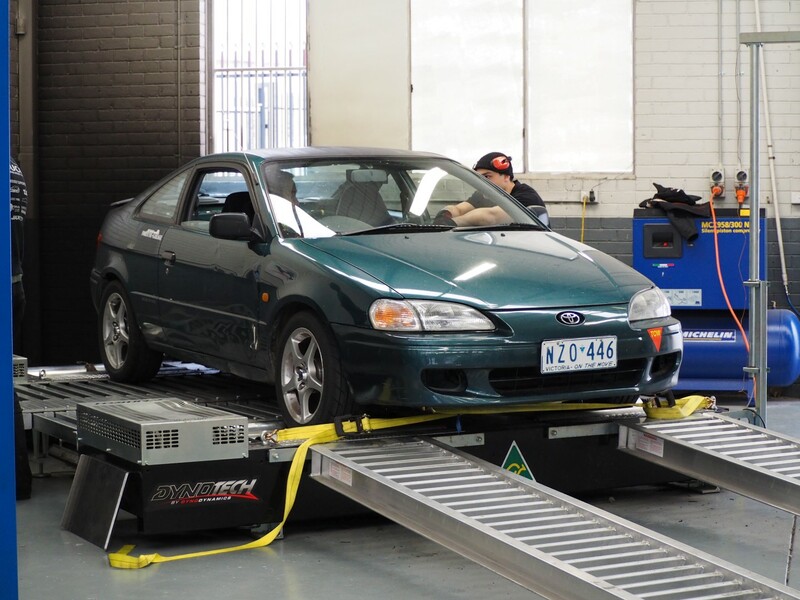 The smokiest Nugget from our Dyno Day lives to fight another day and drove back on to the trailer at the end of the event with a new PB! You might not believe it, but we here at NugNats know there’s a lot of truth to that statement! Same same but different. A new Jazzy Nugget for Lawrence at this event and we hear he’ll be competing at the upcoming H Nationals event too! 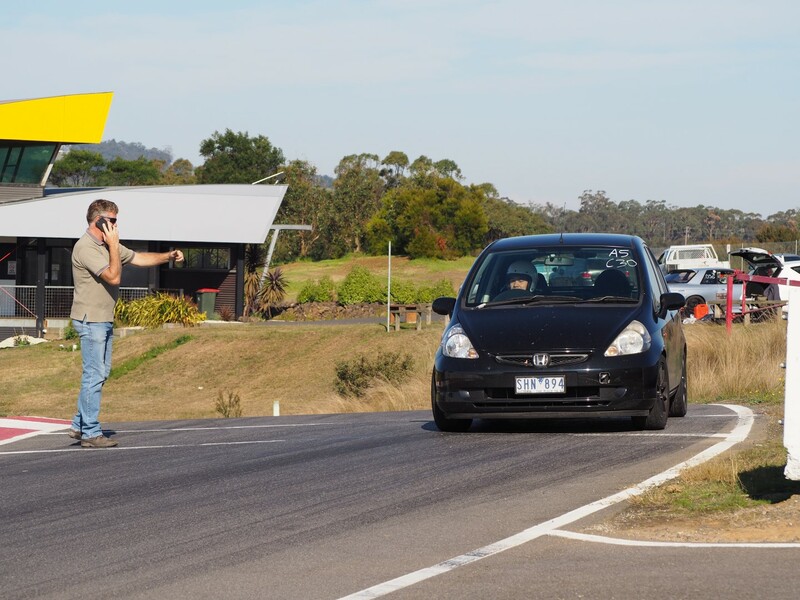 3 brand new attendees to track day, brothers Matthew F. and Anthony F. battled it out for their parents love in the triple driven Paseo but were ultimately trumped by their friend Matthew. J.
It’s great to see friends and family sharing the cost of a Nugget that was subjected to 3 times the abuse and still drove home with no issues! This is the essence of Nugget life. Return competitor Vinnie was back and managed to smash his previous PB by several seconds cracking the 2 min barrier! 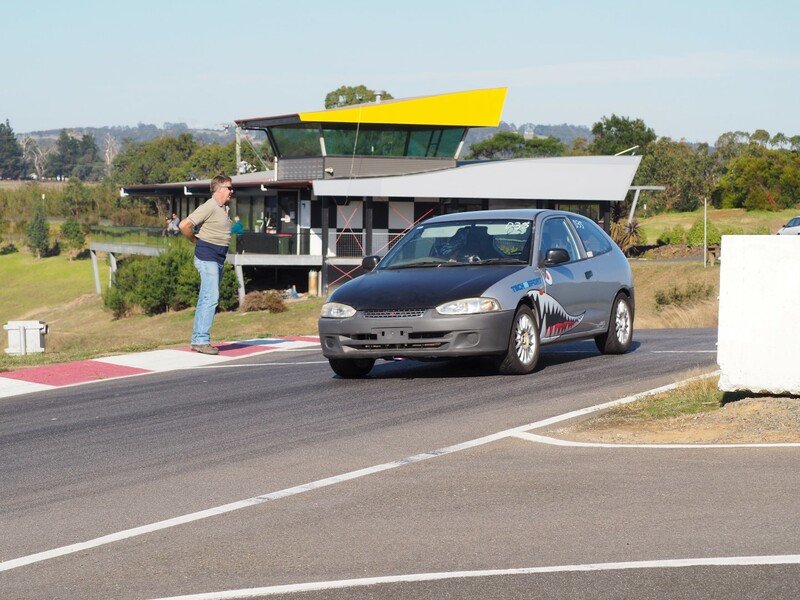 It’s great to see new faces and first time track goer’s join our series. Welcome Sujith! Another first time track goer and second off his older brother, we hope this develops into a fierce brotherly rivalry in the next events! We’ll be announcing our next event on our Facebook page in the upcoming weeks so stay tuned! 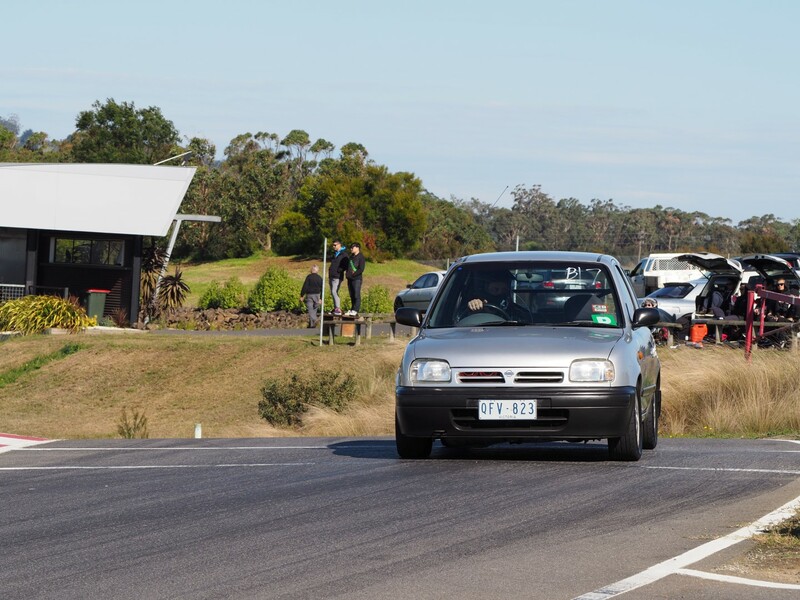 Round 2 of Nugget Nationals saw a gathering of small cars at Victoria’s premier Hill Climb track. 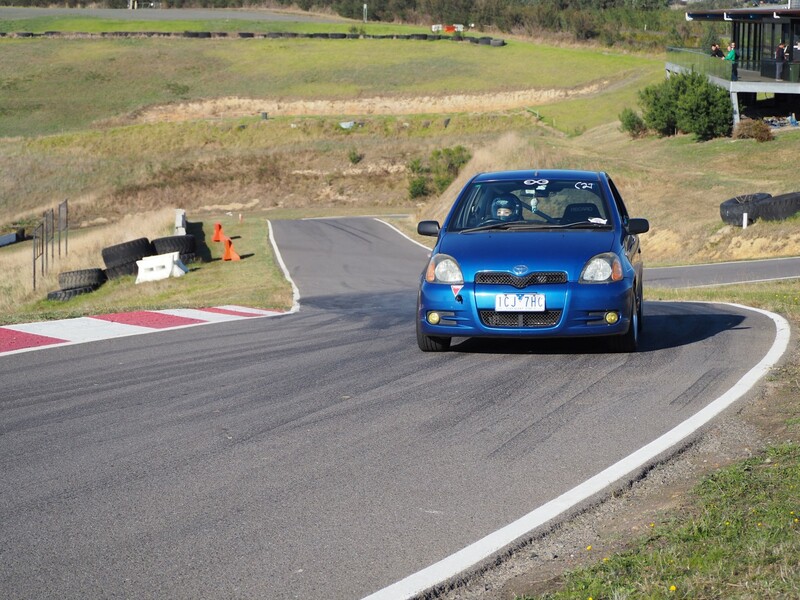 This was our first ever event at this circuit and also the first time to this track for many of the drivers. We were all pretty excited and nervous to see how the Nuggets would go. Drivers have been awarded points on their runs in both the “Clockwise” and the “Figure 8” format and then ranked based on the total points allocated. Congratulations to Laim on placing first. We’re sure Zac’s going to be kicking himself that he had to miss this event! We know Iain is going to be pretty damn happy when he sees this and realises where he has placed. Viv was quicker than Millsy in the Clockwise course however his placing against others in the figure 8 course meant that he’s come in at 4th. She said she was going to sit this year out but the lure of the Nugget was too much for her to resist. 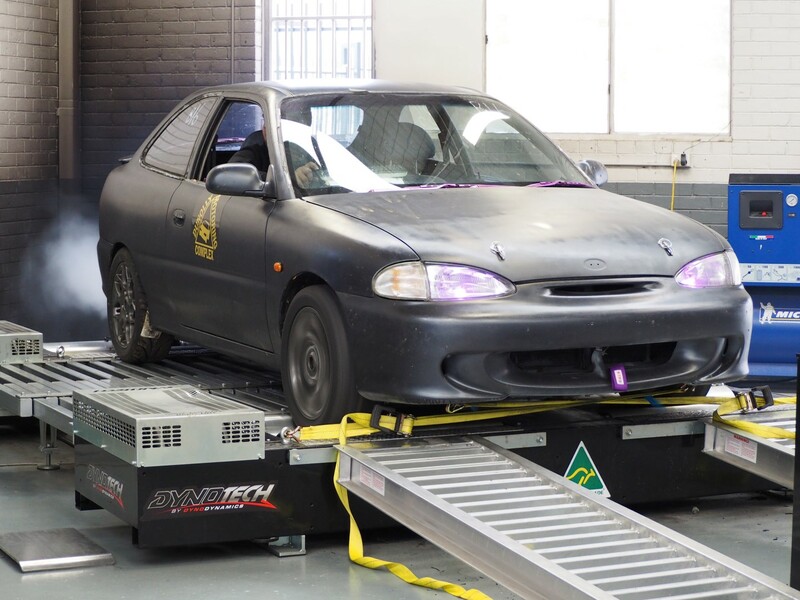 Previously piloting a 2003 Mitsubishi Mirage in NugNats 2015, Stu’s decided to try his hand at something more Vintage with this lovely lilac 98′ model. 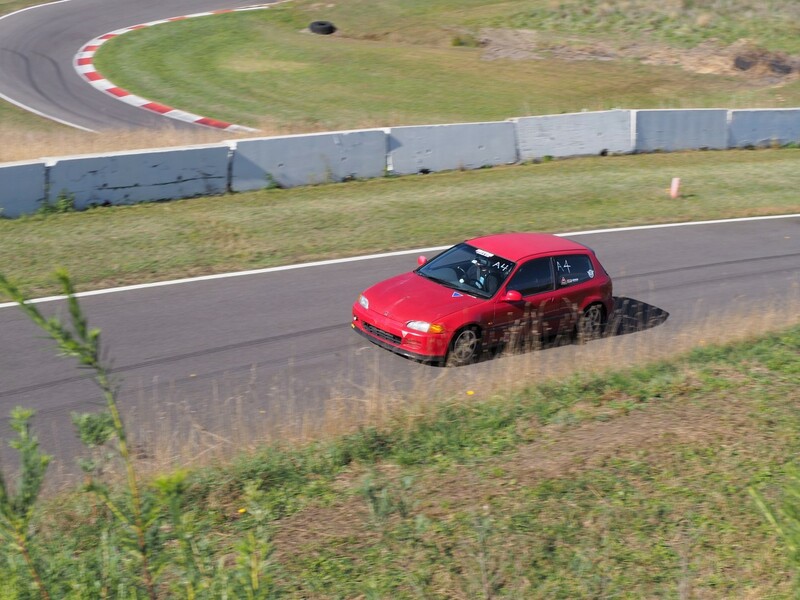 Mark’s a first time to entrant to Nug Nats and this was also his first track day ever. What a baptism of fire! We hope to see this car at more events soon. Tommy drove this car like he stole it, then he kept driving it some more! Our first Korean car of the series (we’re surprised it’s taken so long for one to enter)! A big warm welcome to Shannon in and his excel. Another close battle between co-drivers Lawrence and Thomas. Only the smallest margin between the two! More photos from Lawrence’s album can be found here. Our next event will be posted in the next few weeks on our Facebook page.